I was raised in West Derby in Liverpool by both parents, and I have a younger brother who I call Moo. I lived directly over the lane from my grandparents on my mother's side, and we are a very close big family. I don't really keep that much in contact with my father's side of the family as much as he does but that's mainly because I don't live in Liverpool any more. Growing up I've had a lot of pets; dogs, cats, birds, rabbits, hamsters, fish, etc. I am very, very close with my grandparents and uncles on my mother's side. I see them at least twice a week and we talk on the phone at least two-three times a day - sometimes more. 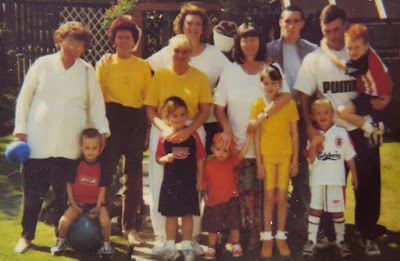 My family is pretty much the same, but as most people know I moved to Prescot and I am now married and we have our adorable puppy called Daisy. 4. Is there a special day for your family? Like a holiday or simply one day a year where you all get together and celebrate something? What’s that day usually like? We all come together around Christmas time and New Year time mostly, otherwise it's birthday's and parities. 5. How would you describe your current relationship to your family members? It really is wonderful. We are very close. If I need anything from them I know they would be there for me and vise versa. 6. How would you describe you relationship to your family when you were a child? It was good. I didn’t see my parents a lot as they worked during the week and obviously I was in school, but I was very close with my grandparents as they used to mind me on weekends and after school sometimes if my parents were still at work. 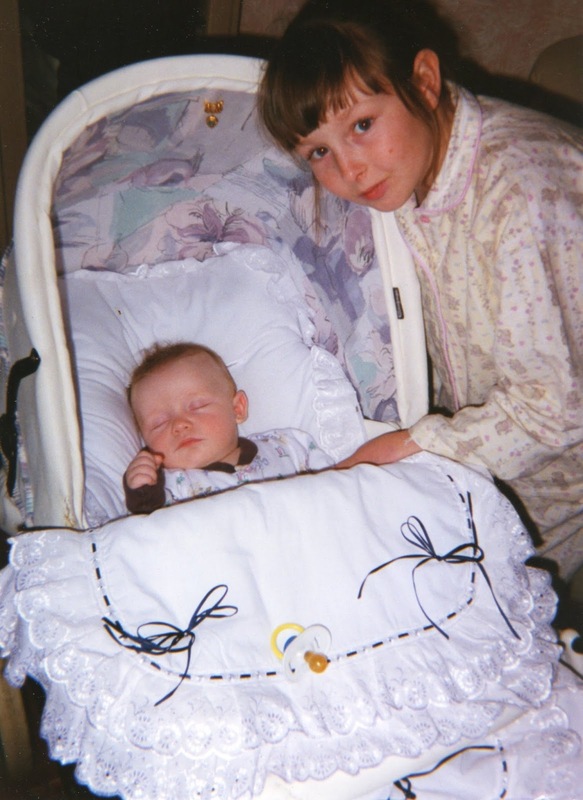 It was more towards my early teenage years, when my brother was born, that I seen my parents a lot more. 7. Has your position in the family changed since you were a youth until now? I think I’ve grown up a lot and my mother now has a different job so gets to see my brother a lot more than she did with me when I was younger which is awesome so we’re all very close. When I was younger I was an only child so I just ha my cousin's and friends to play with, then when my brother came along and I had my own sibling I loved it! 8. Do you see your family often? If you do, what do you do with them? If you don’t, but still occasionally get to see them, what do you like to do when you are visiting? I see my family once or twice a week, it depends how busy we all are. My brother is 16 years old now so he is in the middle of his teenage years; he's finished school and before starting in a college he wanted to take a year out to go into full time work. He's working a lot so I don't see him as much as I would love to but we do talk a lot. When he's not working he's usually going into Liverpool with friends so it can be hard to make time to spend time with him but I understand that he has his own life now, and I'm happy that he's happy. 9. Has anyone in your family inspired you to be part of the Saros tournament, whether as a competitor or observer? I have no clue what this is. 10. If you could sit down and talk to one family member right now, who would you sit with and what would you talk about? I can’t chosen! I would pick all of my family members to get together and chatter and such. That would be so fun. 11. Share 10 pictures of your family memories growing me and explain them? 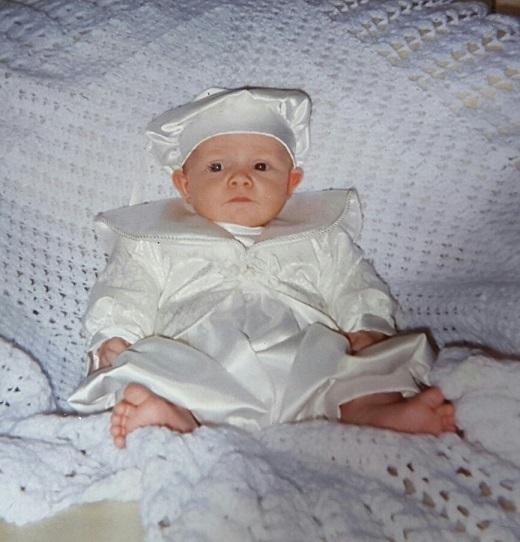 This picture was taken for my first birthday party as the picture on the invitations for the party. It was the first time I'd ever been in a photoshoot with an actual photographer and as you can tell from the picture I loved it. 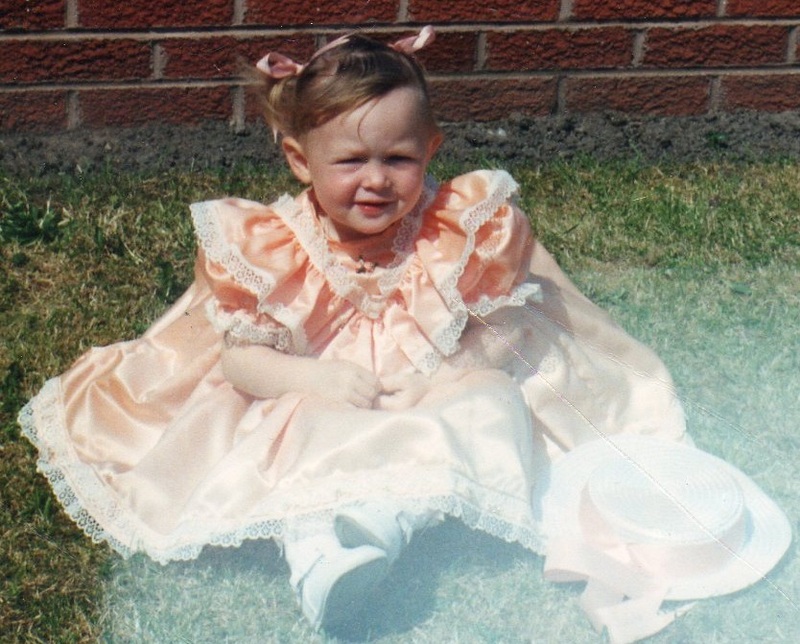 My mother actually still has that dress put anyway somewehre. 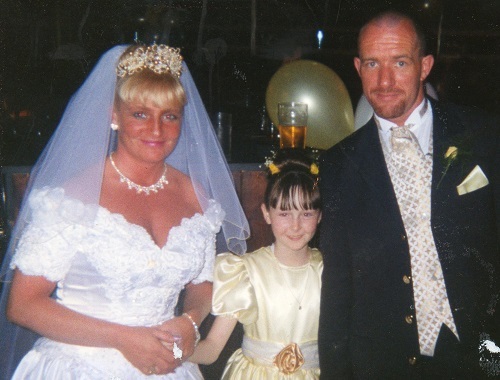 This is a picture of me with my parents at their wedding day. I was a bridesmaid at their wedding and I loved wearing my dress, thinking I was a princess and spinning around in it so much! 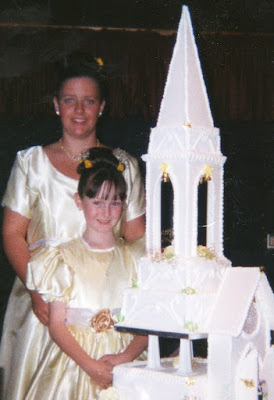 This is another picture from my parents wedding day with my cousin Edel stood next to my parents wedding cake. I was nine years old in the two above pictures. This picture was taken on Christmas day at my grandparents house when I was eight years old. L-R: My cousin Jamie, my cousin Wesley, my cousin Faye and me. 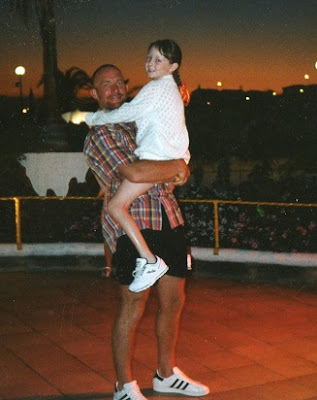 My dad and me on holiday, it was my first time abroad and I loved it. I was eight years old on this picture. 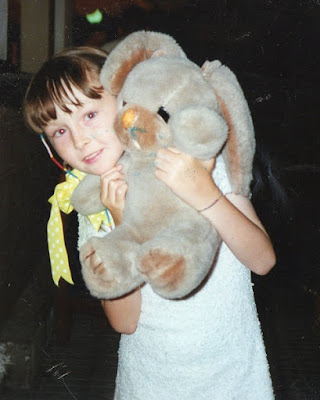 Myself and my teddy Jason. I've loved him ever since my nan bought him for me when I was a really small child, I was a baby when I got him really. He is still my favourite now. This picture was taken on the same family holiday as above. This picture was taken in my grandparents garden. L-R: My late auntie Norma with my cousin Cole (Paula's son), my nan, my mum and my cousin Faye, my auntie Paula in the back, my auntie Sharon (Norma's daughter) with her son Ollie on the left and myself on the right, my uncle Steven in the back, my uncle Neil holding my cousin James (Paula's son) and my cousin Jamie just at the left of Neil. My brother Moo as a baby and myself. He wasn't even one yet here, I was 11-12 years old. He is just so adorable on this picture. 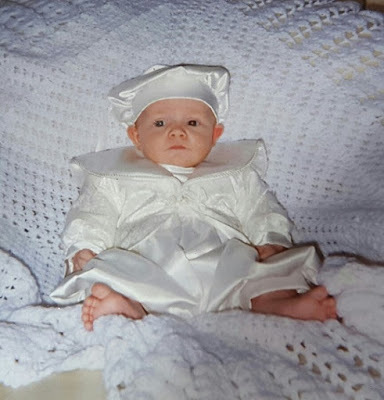 My brother me on his Christening day. I just really love this picture of him so much, he looks like a little prince. 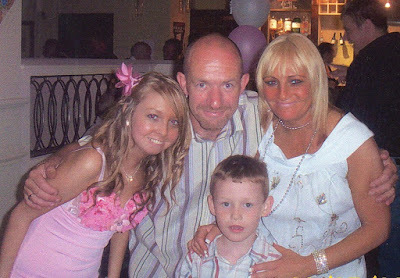 This is my parents, my brother and myself at my 18th birthday party. I wanted to include one more picture than asked. This is a picture of Phil, me and my parents on Phil and my wedding day. I didn't know the picture was getting taken until it was sent to me afterwards. I really love this picture. 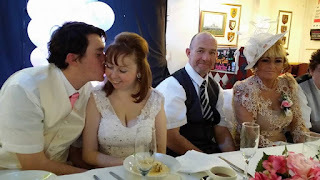 Thank you to the lovely's who tagged me in this tag, I hope you all enjoyed reading this blog post and getting to know me and my family a little bit more. I want to tag two beautiful ladies who I met at the Liverpool Blog Event back in November: Stephanie and Samantha. Let me know if you do or have done this tag below so I can give it a read.